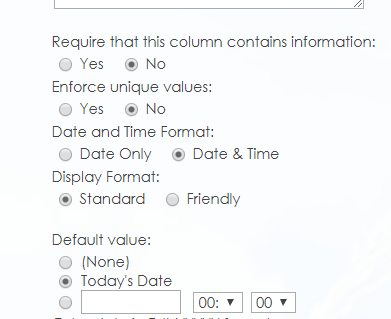 Into NewForm.aspx I have Date and Time field, which I disabled via jQuery. My computer is set to 14:46, so I will receive 14:45 in SharePoint. Hour is correct but minutes are not; it is always set as 00. 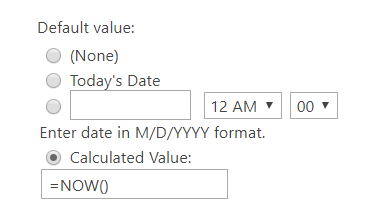 If you instead use the calculated value default value option, and set it to NOW(), this will set the date, plus hour and time. Keep in mind the hour may not match your local time, based on your time zone settings, but I just confirmed the use of now() will set the minute value correctly.